Productions include old favorites like La Traviata, and some new hotness, such as an 'occult mystery film opera' in 3-D.
Photo by Maxine Helfman, courtesy of The Dallas Opera. The Dallas Opera’s 2017-2018 season includes classics unfamiliar and familiar—Verdi’s beloved La Traviata returns—as well as the U.S. premiere of a stunning contemporary “occult mystery film opera,” presented partially in 3-D.
A compelling mix of the groundbreaking and the tried-and-true has become something of the new standard for the opera, which unveiled its upcoming season and its theme of “Motives Unmasked!” on Thursday. “We have enlisted the talents of some of the finest composers, singers, conductors, directors and designers to create visually arresting, intellectually and emotionally satisfying performances filled with a wide range of extraordinary music and drama,” Dallas Opera CEO Keith Cerny says in a press release. The season opens in October with a production of Samson and Dalila, the 19th century French opera about the Bible’s greatest head of hair. La Traviata will follow, with a well-paired double bill of a Korngold concerto and The Ring of Polykrates, a one-act opera by the influential composer, who wrote some of the most iconic scores of Hollywood’s Golden Age (Captain Blood, The Adventure’s of Robin Hood). Things get really interesting in March 2018 with the stateside premiere of Sunken Garden, a work that mixes video, 3-D, and traditional opera, and has been described, in various quarters, as both “bonkers” and “unquestionably bold.” A production of Mozart’s Don Giovanni closes out the season next April. The Dallas Opera also announced Thursday an upcoming simulcast of Madame Butterfly, streaming live and free at the Dallas Cowboys’ swanky new headquarters in Frisco, The Star, on March 18. Go here to register for free tickets. Mainstage productions of the upcoming season will be at the Winspear Opera House. For season subscriptions and more information, go here. 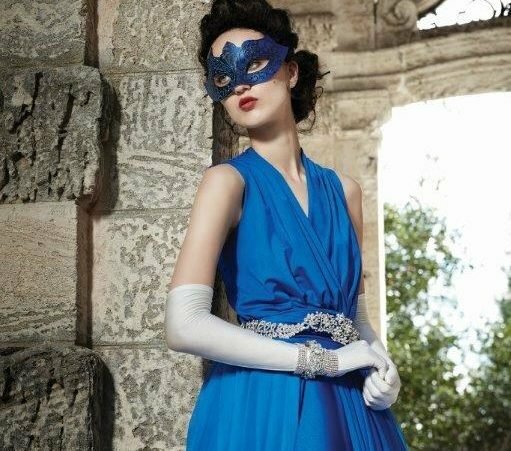 DALLAS, JANUARY 26, 2017 –The Dallas Opera is proud to announce its ambitious 2017-2018 Season, “Motives Unmasked!” consisting of five entertaining and varied mainstage productions, including a dazzling U.S. premiere and a new Dallas Opera production of a very early opera by Viennese wunderkind Erich Wolfgang Korngold. Walt Spangler and Ana Kuzmanic (Don Giovanni). A film maker’s obsession with the disappearance of a young girl leads to the discovery of a walled garden, which is the barrier between life and death. Does this place actually exist or is it just a stunning journey of the imagination? Either way, it immerses audiences into a world of crime and mystery to create a one-of-a-kind production unlike anything you’ve ever experienced before. British soprano Katherine Manley as Zenna Briggs, and renowned Swedish soprano Miah Persson as Iris Marinus. All will be making their Dallas Opera debuts in this production. Don’t delay: mark your calendar, buy your tickets, and then padlock your doors—because there will be no “safe spaces” while Don Giovanni roams the streets of Seville. Put aside those computers, tablets, and smart phones—and grab the kiddoes—in order to take advantage of budget-minded, kid-friendly performances offered by The Dallas Opera in the 2017-2018 Season! In addition to presenting world-class opera, and to providing support for outstanding young artists, established stars, and up-and-coming female conductors; The Dallas Opera is also committed to introducing the joys of opera to as many people as possible, and to provide budget-minded, kid-friendly performances (mostly if not entirely in English) that can be enjoyed by North Texans of every age, educational level and background. The always popular Dallas Opera Family Performance Series is proudly presented by Texas Instruments, and made possible with additional generous support from the Betty and Steve Suellentrop Educational Outreach Fund and Lockheed Martin. From sparkling, good-natured comedies to hanky-clutching tragedies, Gaetano Donizetti was one of the great masters of Italian bel canto. This incredibly prolific composer gave us 75 operas, including four that are highlights of the repertoire: Lucia di Lammermoor, The Daughter of the Regiment, The Elixir of Love and Don Pasquale. Gather up the children (and grand-children) to experience the music of Donizetti, a man who lifted himself out of poverty through hard work, generosity, and extraordinary talent. Featuring the acclaimed Dallas Opera Orchestra and a charismatic narrator, as well as outstanding young singers. Based on scenes and music from operas by W.A. Mozart, this production is an operatic version of the beloved children’s fairy tale, with adaptations by John Davies. The story reinforces the virtues of reading as one of the little pigs, Despina, successfully reads up on building a “huff-proof, puff-proof” house at the library. As constructive as it is instructive!